LAOSat-1 is a Geostationary Communications Satellite operated by the Asian country of Laos, its construction and launch contracted through the China Great Wall Industry Corporation. 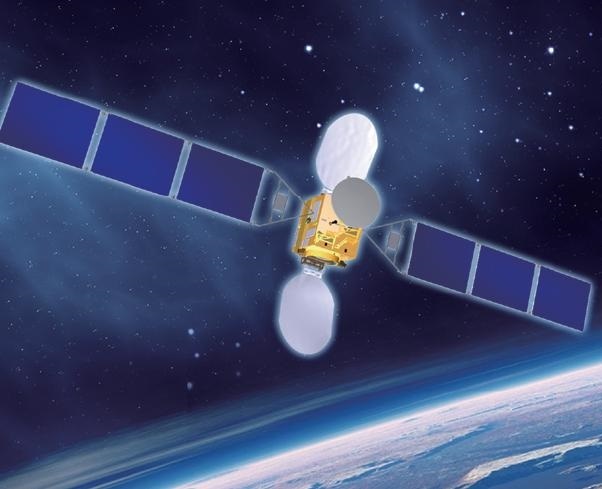 The spacecraft will be operated by the Laos National Authority for Science and Technology to deliver television and data services, using a C- / Ku-Band payload. The construction and launch of the satellite was contracted to the China Great Wall Industry Corporation in March 2010. CGWIC offers Chinese space products including a number of satellite versions and spacecraft components as well as launch vehicles on the international market. The project completed its Critical Design Review in 2013 and entered construction in 2014 with an overall goal of putting the satellite to operation by December 2, 2015 to broadcast the 40th Independence Anniversary festivities. The satellite is based on the DFH-3B platform built by the China Academy of Space Technology, representing an improved version of the second generation of DFH bus systems. DFH-3 was first launched in 1994 followed by the inauguration of the DFH-A improvement in 2007. LAOSat-1 is the first known satellite based on DFH-3B to be launched into orbit. DFH-3B is based on heritage components from the flight proven DFH-3 versions and expands their previous capabilities to support more advanced payloads, also reducing the mass of the satellite platform. The DFH-3B satellite bus is hexahedral in shape and measures 2.2 by 2.0 by 3.1 meters in size with a launch mass of 3,800+ Kilograms. The bus is comprised of three modules, a propulsion, a service and a communications module. It can host payloads in the 400-450-Kilogram mass range. DFH-3B features two three-segment solar arrays that generate a power of 5,500 Watts, 4,000 of which are available to the satellite payload, making the platform suitable for mid-sized communications payloads. Power is stored in Li-Ion batteries and distributed to all systems by dedicated EPS hardware that conditions the main power bus of the satellite. Using the three-panel arrays, the satellite reaches a span of 18 meters when deployed in space. The DFH-3B satellite platform uses state of the art navigation and attitude determination systems and reaction wheel-based attitude actuation. The satellite is equipped with a main propulsion system for the climb to Geostationary Orbit and reaction control thrusters used to assist in attitude control and stationkeeping in the Geostationary Belt that is possible with an accuracy of +/-0.05° in all directions. DFH-3B is built to host C, Ku, Ka and L-Band payloads with a nominal service life of 12 to 15 years. The LAOSat-1 spacecraft hosts a communications payload comprised of 14 C-Band transponders and 8 Ku-Band transponders to deliver television and data services to southeastern Asia, stationed in a position of 128.5 degrees East in Geostationary Orbit.